For many of us, the mountains, hills and valleys of Great Britain are our natural playground. They’re easy to reach, varied in their spectacular scenery and rewarding in the joy and feeling of accomplishment they offer. But, what if you’re looking for a new challenge? Something that is going to test you that bit more, something that is going to push you out of your comfort zone and test you all while putting a huge grin on your face. Well, that’s where Rat Race comes in. 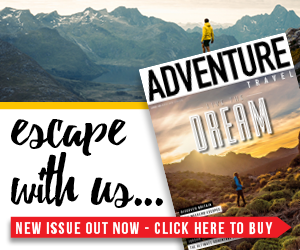 The company is the UK’s largest and most respected adventure event operator with nearly 15 years of experience. In that time, the folks behind the scenes have put on popular events such as the Coast to Coast, Dirty Weekend and the Mighty Deerstalker, but now they are upping their game with the Bucket List series. Put simply, the Rat Race Bucket List is a collection of extraordinary adventures in ‘way out there’ locations around the globe. If you’ve dreamed of taking on a bit of an epic but haven’t had the experience, knowhow or nerve to do it, this is for you. The series is made up of three events in three very different types of terrain. What they all have in common though, is that anyone with a sense of adventure and a commitment to getting the job done can do them. So, what are they? The first Bucket List event is the Mongol 100. The location? In a remote corner of north-western Mongolia lies Lake Khovsgol, a lake which is two million years old and holds the world’s purest fresh water. It is serene, hostile, stunning and intimidating. In other words, it’s the perfect location for an adventure. 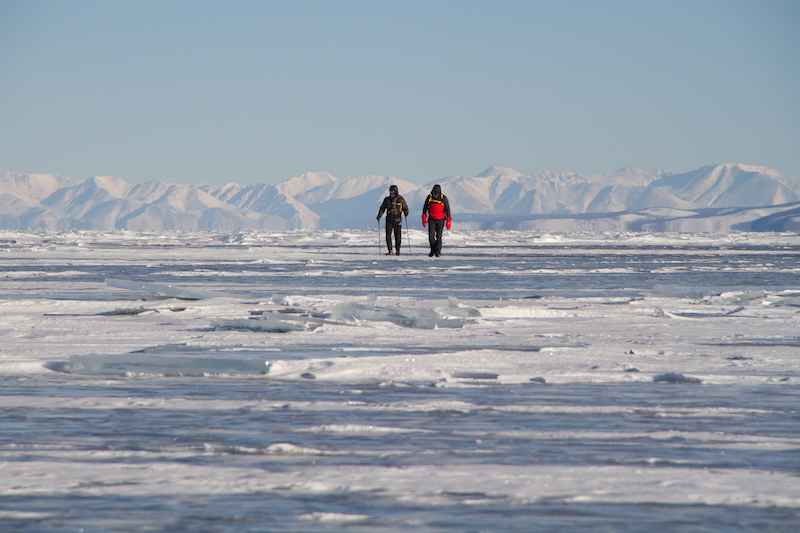 This is especially the case in winter, when the entire length of the lake freezes over with ice a metre thick. The objective of the event? A 100-mile traverse of the lake from north to south by any means (foot, skate or bike). 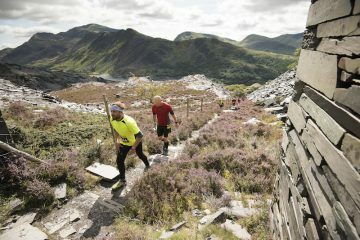 Limited to just 100 places, this challenge will see you travel through a harsh, but beautiful, environment, and the sense of achievement at the end of it will be huge. From the sub-zero of temperatures of a frozen lake in Mongolia to the fierce temperatures of the deserts of Namibia, the second event in the Rat Race Bucket List schedule is the Race to the Wreck challenge. This stunning desert adventure sees participants cover 186 miles on fat bikes and on foot to reach the famous Eduard Bholen wreck. 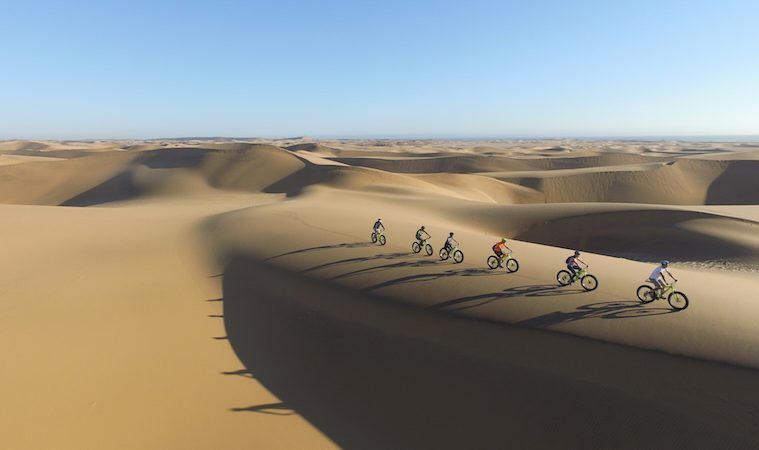 The journey takes participants from the source of the Kuiseb River and across the sea of sand dunes that make up the Namib-Naukluft National Park, covering 120 miles on fat bike and 60 miles on foot. Special permissions have been obtained for the event, which will be the first-ever multi-sport crossing of this ancient landscape. The challenge promises an experience complete with unbelievable vistas and an objective that is as eerie as it is unusual. It will be tough, but you can be sure that you’ll be in safe hands, with a full support including medics, sweeper crews and all meals and accommodation provided. Not much is known about the final event. All we are certain of is that it’s going to take place in the Panamanian jungle, it’s going to be a coast-to-coast journey and it’s going to be pretty darn epic. To stay up to date with the Bucket List series or to register for your spot head to www.ratrace.com/bucketlist.